WE FINANCE EVERYONE REGARDLESS OF CREDIT!! GUARANTEED CREDIT APPROVAL!! HABLAMOS ESPANOL!! ACEPTAMOS ITIN, MATRICULAS O PASAPORTES!! Powerful Impreza WRX PREMIUM AWD turbocharged 2.0-liter boxer four-cylinder that produces 265 hp and 244 lb-ft of torque. 6-SPEED MANUAL TRANSMISSION, HEATED FRONT SEATS. Sport-tuned suspension, special 17-inch wheels, summer performance tires and a leather-wrapped steering wheel and shifter. Windshield wiper de-icer. See more pictures at www.brogsauto.com We take Visa, MasterCard, AMEX & Discover cards, bank drafts & cashier's checks also accepted, always taking trade-ins, all makes and years take the phone and call us now, visit Brogs Auto online at www.brogsauto.com to see more pictures of this vehicle or call us at 972-243-7465 today to schedule your test drive. Available 4 years/unlimited miles extended warranty available!!! 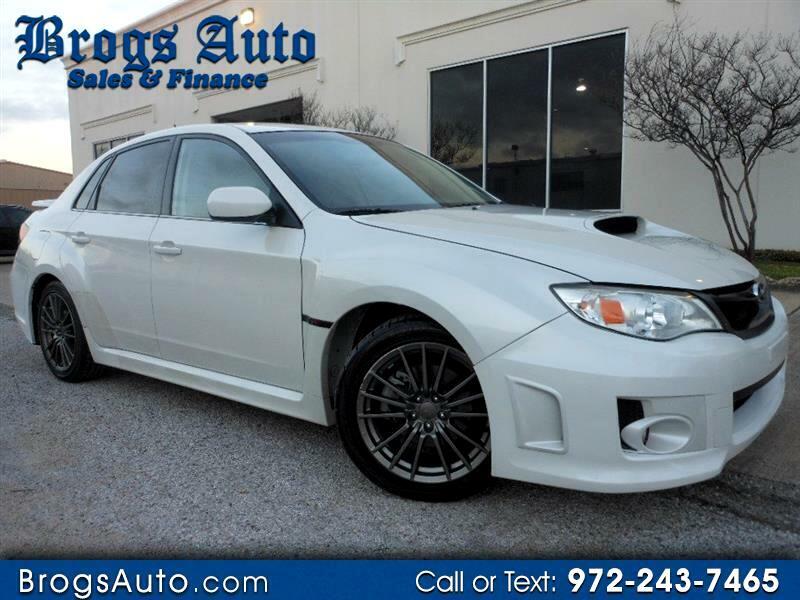 Message: Thought you might be interested in this 2012 Subaru Impreza WRX.